Writers and poets in the far western mountain area of North Carolina and bordering counties of South Carolina, Georgia and Tennessee post announcements, original work and articles on the craft of writing. Among the many people who help make Netwest a successful organization is Michelle (Mary Mike) Keller who lives in Towns County just across the border between North Carolina and Georgia. Michelle's creativity in design, her talents in everything from building a house to book making, and her loyalty to friends drew me to her years ago when we first met. In June, 2007, when I became Program Coordinator with Netwest, Mike answered my call for a volunteer to take the job of publicizing writers' events. Some of our members don't know Mary Mike Keller. She keeps a low profile. She is a VIP and I want our members and our readers to meet her. In a recent interview, Mike answered questions about herself and her various talents. GB: Mike, painting seems to be your first love. How long have you been an artist, and what do you like to paint? M.K: Painting has always been part of who I am. I cannot remember ever not drawing and painting. It is one of my vocabularies. Flowers are my favorite subjects, their colors spreading across the canvas make me feel good. I like to draw and paint people. I especially like to draw people in airports as they wait. I prefer to paint at night, even into the early morning, which works well with the fact that I like to write in the late morning. GB: You are a painter, among many other things, but you write lovely poetry, essays and stories. Do you think of yourself as a writer? MK: I call myself a writer. I write poetry primarily, yet I enjoy the putting together of a personal essay and of course the short story that pops into my head occasionally. I began writing for pleasure about thirteen years ago. I had the ability, in school, to write good essays and the occasional poem, but never thought of myself as one who could write. In wasn’t until I took my first class with Nancy Simpson that I began to write seriously. I will hear someone say something, a sentence sticks in my head, bouncing around until it finds itself a poem. Often it is a simple action as in “The Purple Screen Door." I was painting my screen door purple when the line “Why purple you ask?” manifested itself. GB: Why do you write? MK: The answer is simple. Writing is fun. I write for pure pleasure. GB: I know you are an avid reader. Tell us what you like to read. MK: I could write volumes on this subject. It is probably answered best by telling you my favorite authors. Ann Rice is at the top of my list. As for earlier writers, F. Scott Fitzgerald tops that list. Isabel Allende, P.D. James, James Lee Burke and Amy Tan are among my favorites. I recently read “The Thirteenth Tale” by Diane Setterfield. I liked the way it held onto its secrets, only leaving hints along the way for the reader to find. This month, my book club is reading “Whistling in the Dark” by Lesley Kagen. It was a quick read and I enjoyed it very much. GB: You have been a member of NCWN and involved with Netwest for a number of years. Tell us what you do for the writing group. MK: I have been a member of the NCWN for many years. I handle the publicity for Netwest. I send out the monthly calendar to the newspapers and write about the readers who will be reading at John C. Campbell Folk School and Coffee With the Poets along with other items that need to be in the newspapers. I am, so to speak, the person in charge of Coffee with the Poets and am lining up the 2009 readers for Poets and Writers Reading Poems and Stories at the folk school. GB: Thank you, Mary Mike Keller, for answering our questions and for letting our readers and fellow members get to know you. 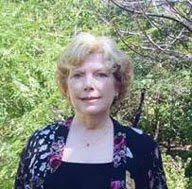 On July 6, 2019, NCWN-West will sponsor a seminar by Valerie Nieman at the Moss Memorial Library. Her subject: Under Pressure: Creating Complex Characters. She will have handouts and materials for poetry and prose writers.Valerie is a well-published writer of novels and poetry. She teaches at the JC Campbell Folk School and is a regular presenter at conferences. She is looking forward to seeing her friends here in WNC. Check out her website here. How do you subscribe to NCWN-West's Blog? Drop your email in the space below. Read a review of Echoes Across the Blue Ridge, anthology by Netwest poets and writers. Posts and photos on this blog are copyrighted. Text and photos on this site are copyrighted. Please contact the author before you copy or use any photo or text on this site. Thanks. © NC Writers' Network - West. Simple theme. Powered by Blogger.